The wedding is the most important for both bride and groom. Thus, the grooms also need to dress up in their best attires during the wedding functions, mainly in the reception party that Indian grooms organize at their place. So the modern grooms look out for some stylish suits that will match with their personality and make them look as attractive as their brides, at their reception parties. 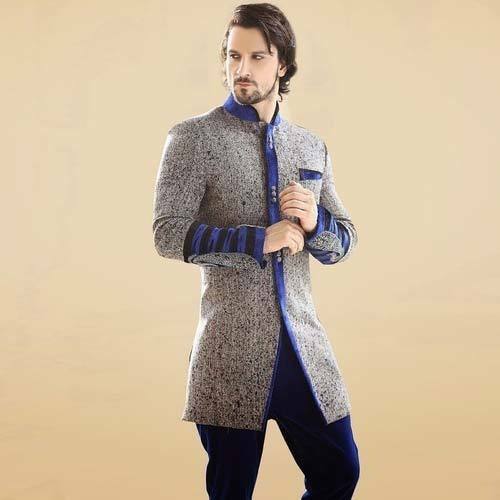 There are different types of Indian and western attires for men that can be used by the grooms in wedding receptions. 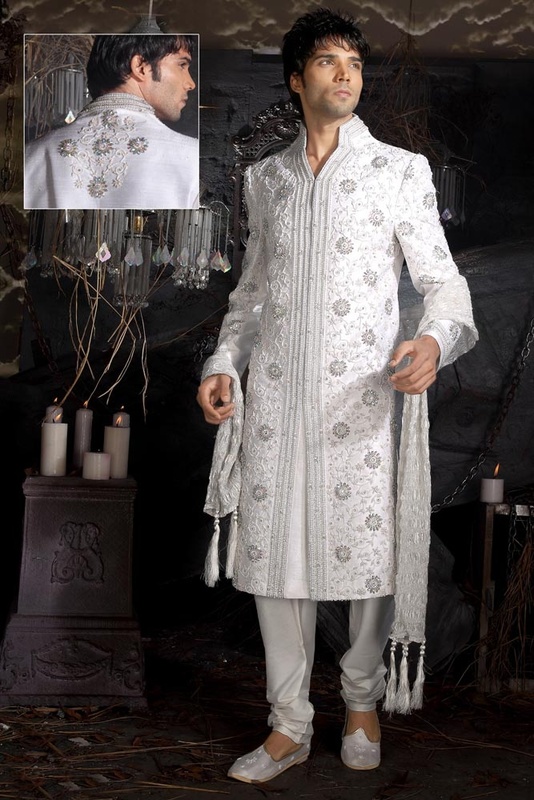 Sherwani is magnificent Indian attire for any groom and every man gets a royal appearance while wearing this dress. The Sherwanis are available in all hues, ranging from white and pastel shades to all darker shades, including black. Most of the wedding Sherwanis are specially made of silk, with embroideries and embellishments done on different unique designs on the front part. The Sherwanis are usually coupled with matching embroidered shoes of traditional design and stole or cravat for wrapping around the neck. These Sherwanis can be made both in purely Indian style, as well as in western style, to fit the requirements of the modern grooms. Pathani Coat is chosen by many men who love bold designs and elegance, as this attire was earlier used by the Muslim royals all over India. These coats are available in all sober colors that are usually preferred by men and mostly made of silk cotton or jute silk. 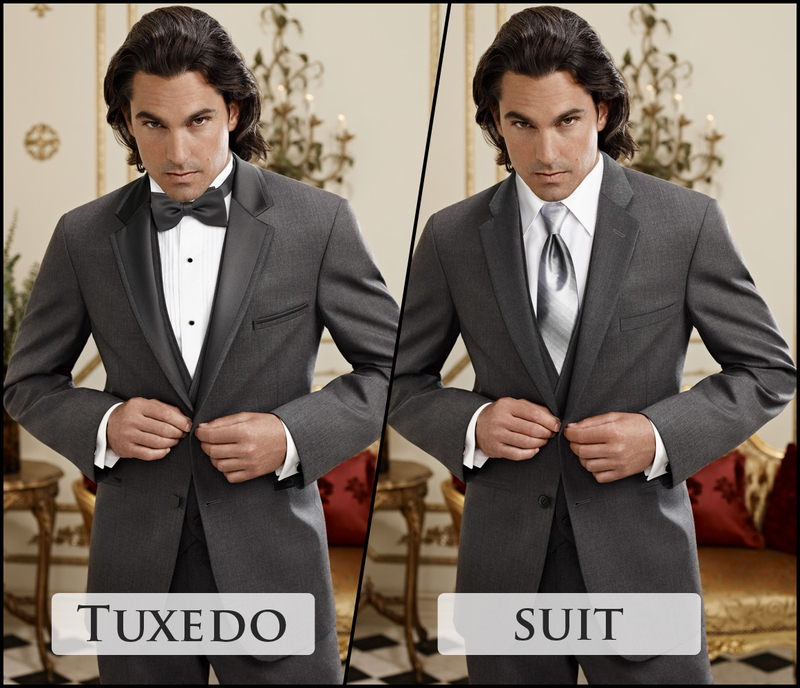 Tuxedo is another favorite wedding wear of the Indian grooms, who like to wear western attire on their reception. These tuxedos are actually evening suits used by the British and mostly made of satin or raw silk. The trousers and even the buttons of the tuxedo are made to match the basic color of the dress. 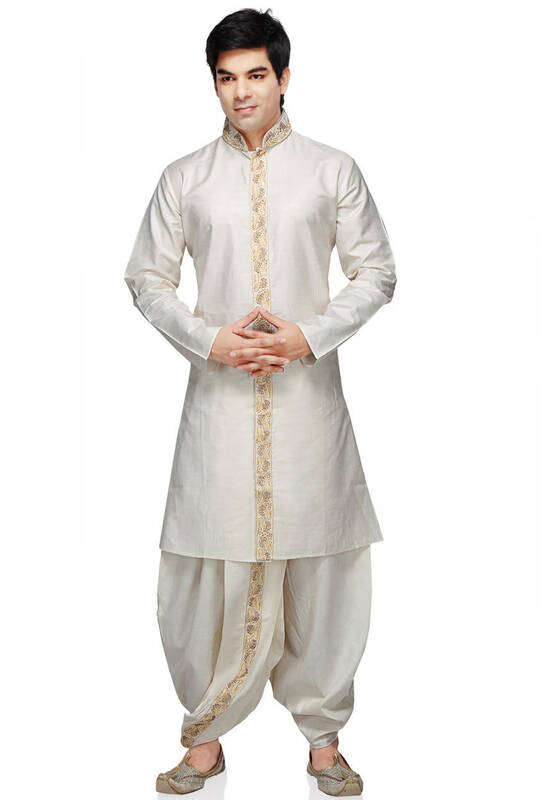 Kurta Pajama is the most traditional dress of the grooms all over Northern and Western India. Pajama or the lower part can be either tightly fitted or of loose fittings, according to the convenience of the wearer. But the Kurta needs to contain intricate patterns or embroideries all over the body, while the colors vary from white to all deeper shades of the colors. The grooms of the Eastern India often like to wear their traditional outfit Dhoti and Kurta, though now many men feel uncomfortable in wearing Dhoti. Now Dhotis are available in all vibrant colors and Kurtas are generally chosen of contrast color to that of the Dhoti. Jodhpuri Suit resembles much to a western suit, as it contains three pieces of attires, namely a trouser, a shirt and a coat that is lavishly embroidered. Generally, these coats have closed neckline and made in the same color as the trousers. Usually, most of these suits are available in dark colors, with buttons and designs of visibly contrast colors on them. Some grooms may also wear matching ties with their western suits, but most of the young men prefer to look more traditional on their wedding days.